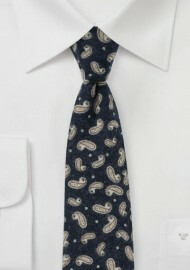 A trendy flannel tie featuring a midnight blue background color imprinted with a stone gray paisley design. A modern accessory that looks best when worn during the Fall season in combination with light gray chambray shirt and navy or gray cable knit cardigan. 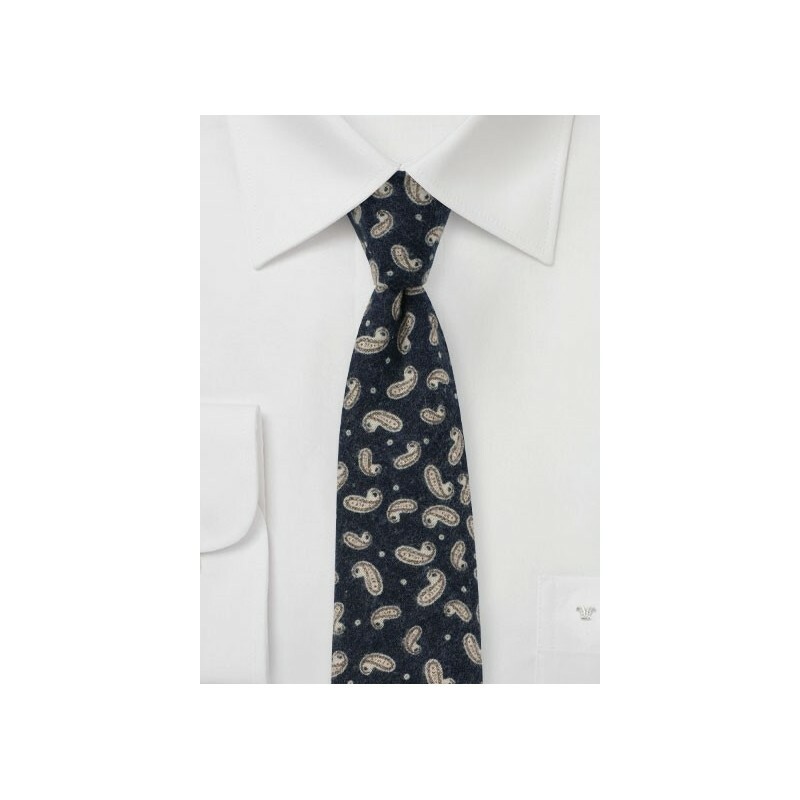 Handmade from flannel cotton and cut with a modern 2.75 inch width.